Dell UltraSharp monitors offer innovative design and technology, superb screen performance driving productivity for financial traders, bankers, engineers, professional creators and programmers. As a new generation floods the job market, there is increasing focus on delivering superior experiences to both employees and customers. Enabling the workforce with better technology, including the right monitors is a way to heighten employees experience which in turn impacts customer experience2. The proliferation of data gives rise to a demand for better visualisation tools. Research3 shows that there is growing demand for larger screen size, better support for multitasking, higher resolution monitors and a clutter-free work area to enhance the visualisation of data. As demographics change and millennials become professionals, visually appealing monitors that help in productivity will be key to attract and retain the best talents4. As the world’s No. 1 monitor brand5, Dell is meeting the demands of the future workforce with its new range of Dell UltraSharp monitors, featuring innovative design and technology to drive productivity with ultimate screen performance and an outstanding user experience. The new monitors are designed to cater to users in financial services and insurance, trading floor, financial analysis and accounting, media post production, programming and engineering. Dell is introducing the world’s first 49-inch curved dual QHD monitor1 with the revolutionary ultra-wide 32:9 aspect ratio for seamless multi-screen productivity. Delivering an immersive experience, this expansive monitor is the ideal replacement for two 27-inch QHD monitors. The large onscreen space with 5120 x 1440 resolution and IPS technology allows users to view more content and see fine details with consistent color across a wide viewing angle. Experience outstanding screen performance in amazing detail with Ultra HD 4K resolution – four times more detail than Full HD. VESA certified DisplayHDR™ 400 supports HDR content playback for stunning, true-to-life images. Images appear in living color revealing details that were previously tough to see withup to 400 nits of brightness (typical) and a color depth of 1.07 billion colors. Complementing the vivid monitor is the virtually borderless InfinityEdge for an edge-to-edge viewing experience. See details and accurate, true-to-life color on the beautifully crafted UltraSharp monitors. The Dell UltraSharp 24 and 27 USB-C monitors each feature a thin side profile and small monitor base to optimise desk space, perfect for shrinking modern office spaces. 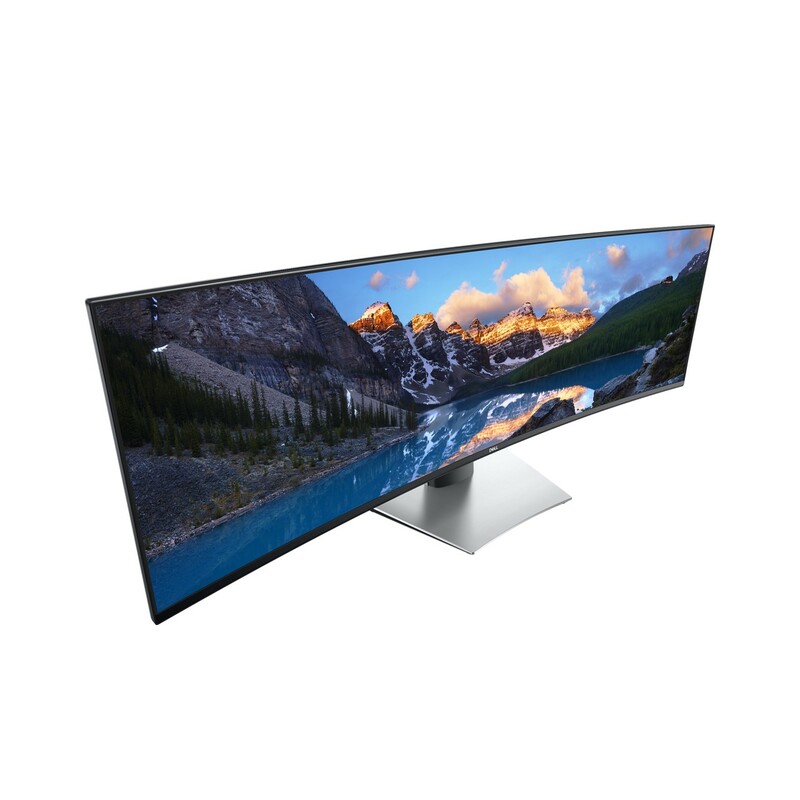 The virtually borderless InfinityEdge bezel delivers an edge-to-edge viewing experience, ideal for a seamless multi-monitor set up. The new 24-inch (FHD) and 27-inch (QHD) monitors come with two different options, with and without USB-C connectivity, for superb screen performance in an innovative design. Connect with Dell EMC via Twitter, Facebook, YouTube and LinkedIn. With award-winning desktops, laptops, 2-in-1s and thin clients, powerful workstations and rugged devices made for specialised environments, monitors, endpoint security solutions and services, Dell gives today’s workforce what they need to securely connect, produce, and collaborate from anywhere at any time. Dell, a part of Dell Technologies, services customers from consumers to organisations of all sizes across 180 countries. failure to return defective unit. Availability varies.